Water Resistant, Reflects Heat & Protects From Dust! You don’t need to purchase an expensive “outdoor TV” to enjoy the luxury of television on your deck, patio, or poolside. 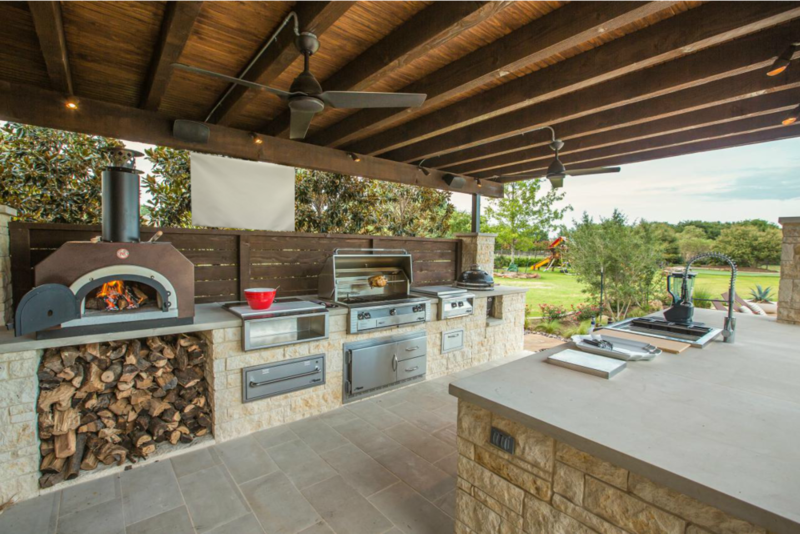 TV Coverstore manufactures form-fitted outdoor TV covers to prolong the life of your valuable investment and defend against the harshness of Mother Nature. All of our covers made in the USA from only the highest quality marine-grade materials to provide added durability and protection. Thick inner fleece type liner bonded to the front and sides to eliminate the possibility of scratching the screen. "Simply the best cover at any price." Ranked #1 - Outdoor TV Cover 2016 & 2017! Our outdoor TV covers are made from and acrylic-coated 100% woven polyester fabric specifically designed to repel water, prevent tearing or stretching, and protect against mildew. Our products are also UV-resistant and designed to reflect heat for TVs positioned in direct sunlight. The 300-denier polyester protects against the accumulation of dust and dirt, which can cause your TV to overheat or malfunction. Currently Offering between 27" - 70" Covers! Available in 3 Colors- Light Grey, Light Beige, & Black. TV Cover Store prides ourselves on manufacturing products characterized by excellent strength, long lasting durability, tear and abrasion resistance, dimensional stability, and UV protection in the Outdoor TV Cover Industry. 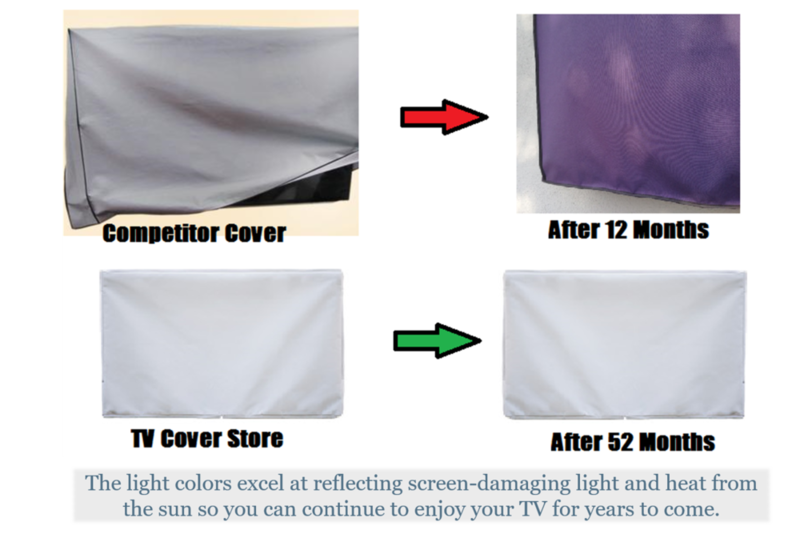 Our TV covers are made from an acrylic-coated, 100% woven polyester fabric (300 denier) with a clear back coat. What are people saying about our Outdoor TV Covers?